Child, Jack. 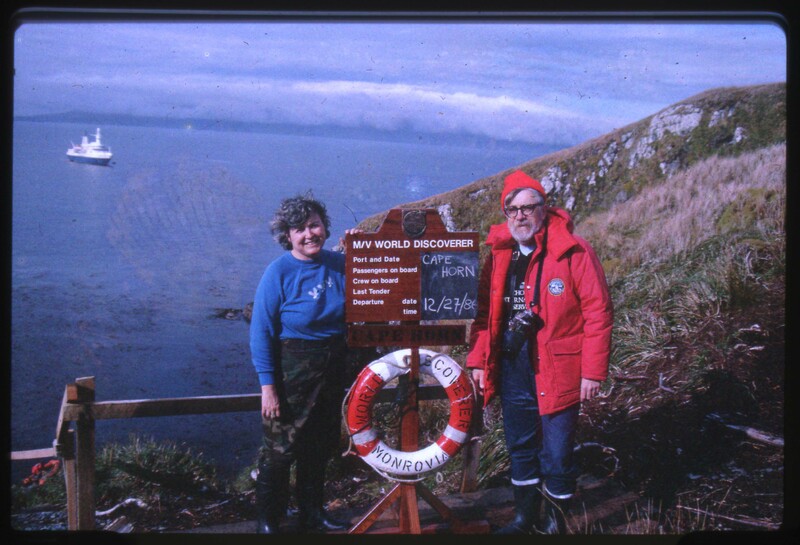 Jack Child and Leslie Morginson-Eitzen at Cape Horn , 27 December 1986. Jack Child Slide Collection. American University Library - Archives and Special Collections. Publisher: American University Library - Archives and Special Collections. Rights: Reproduction and copyright information regarding this image is available from the American University Library -- Special Collections. The Latin American Visuals Online Repository is a joint project of the Center for Latin American and Latino Studies at American University and the American University Library Archives and Special Collections. Works displayed on this web site are governed by Creative Commons License CC BY-NC.